Both my husband and I have read and enjoyed all three books in this trilogy. George Gearing is the young man who, along with his trusty robot friend, Jackbot, has to save the day once again. George is still trying hard to find a way to bring his parents back but he keeps running up against a brick wall. When a way is offered to enlist help, he is in a quandary as to whether or not it is the right or wise thing to do. All decisions have their consequences and George’s certainly does. I have purchased a number of coloring books by artist Thaneeya McArdle and have been enjoying all of them. When I saw that she had a peel and stick coloring sticker book, I thought I would try it out. It turns out to be a lot of fun. I like to reward my grandchildren with a sticker at the end of the day when they spend time with me and it means so much more when it is a sticker that I have colored myself. In addition to simply coloring and using my stickers as rewards, the book has great suggestions as to various crafts and ways that you can use the stickers once you have finished. I am going to use some of those ideas to personalize a few of my gifts this holiday season. There are ten pages of stickers and as the backside is left blank, you can use whatever type of coloring medium you choose with these. I’ve tried gel pens (including metallics and glitter pens), various water and alcohol-based markers (my sharpie ultra-fine worked great on these! ), coloring pencils and even some of my new watercolors. They all work great and I have had no problems with the paper curling, even with the watercolors. Of course, you should wait for the sticker to try before removing it. This is a lovely book of 37 verses from the Psalms. Among them are some of the words that have meant so much to me over the years. When I have found myself deep in what seems like overwhelming grief, I turn to the Psalms to both express what I am feeling and then to find comfort in the promises. The verses are taken from a variety of Bible translations including: New King James, New International Version, Good News Translation in Today’s English, and the New Living Translation. The designs by artist Michal Sparks are very pretty and should be fun to color but they are meant to highlight the words. These are not designs that are cute but rather more elegant. I believe that as I color each design, I will be able to spend time contemplating what is being said at the same time. It will not only be a relaxing time but one of spiritual refreshing and being upheld. These will be the perfect thing to color when the day has been difficult and I need the extra time to meditate on what is good and true. The designs in the book are printed on one side of the page with the back side left blank. The paper is white and is a medium weight. While the pages are not perforated, there is plenty of room between the design and the binding for cutting the pages out if you so choose. The binding is glued rather than sewn. With the exception of the included safety eyes and crochet hook, I am impressed by the quality of this kit. The kit includes enough yarn to finish one each of two Disney Princesses Cinderella and Ariel. After that, you will need to purchase additional yarn, fiberfill, safety eyes, and other assorted items to finish more of the characters. The kit does call for worsted weight acrylic yarn but does not tell what type of yarn was used. While it does not state it exactly, I would hazard a guess that that is what is included. The book includes instructions for 12 Disney Princess characters. They are: Cinderella, Fairy Godmother, Snow White, Aurora, Ariel, Belle, Jasmine, Pocahontas, Mulan, Tiana, Rapunzel and Merida. There are nine colors of yarn included in the kit. They are: (larger skeins) red, yellow, medium blue, off-white, (smaller bundles) light green, bright green, light blue, lavender, and black. Also included is a tapestry needle for seaming the figures and adding features with the included red cotton embroidery floss, an inexpensive crochet hook in size 3.50 (US E/4), four 12 mm plastic safety eyes and fiberfill. There are also fairly detailed instructions including many diagrams from the basics to more advanced concepts including embroidery stitches. Unfortunately, there are no directions included for how to place the safety eyes. I am sure that this information can be found on the internet with a simple search. The directions do tell you exactly where to place the eyes. I must admit that I won’t be using these eyes but will instead find ones that I can purchase so all of my figures will be consistent. Either that or I will embroider eyes on using basic satin stitches. The Magical City is the first coloring book I have picked up by Lizzie Mary Cullen. It is imaginative and wonderfully artistic. She has a style that swirls and gives a new life into buildings and landscapes. There are many cities included in this book. There is also a hidden objects search and find as many artistic coloring books are now including. The key is in the back of the book, along with what amounts to a proof sheet of the pictures in the book with the names of the cities/landmarks/buildings. I’ll include a long listing at the bottom of this review if you would like to look through what is included. There are 70 designs in this book, 12 of which span across two pages. The book is printed on a good medium weight white paper. The cover does not come off but the inside of front and back can be colored though the paper is extremely glossy. 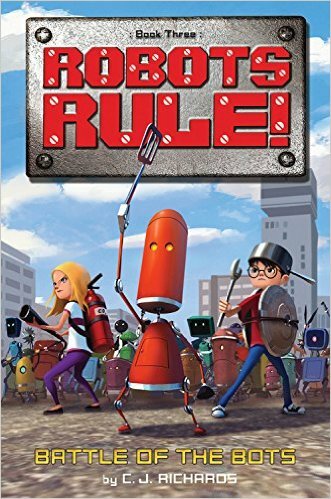 The outside of the cover is beautifully illustrated and colored with a touch of silver foil on it. There are parts left that you can color and the outside is slick but not glossy. This is a pretty and interesting coloring book. It has many designs which are associated with a home. I was a little surprised as from the name, I thought there would be some views of rooms within a house but it is really items found there plus some garden designs. The designs range from open and easy to color to more elaborate with some intricate details. The book itself is really pretty, too. It has a dust jacket which can be colored, inside and out. The outside has a beautiful touch of gold foil. The designs include items such as: flowers, the front door light, cherry pie, flatware, beautiful glassware, frames, frames, candles, goldfish, outside window box of flowers, hummingbirds, and much more. This is a pretty coloring book with filled with designs of items that can be associated with vacations. A number of the designs are riffs on a similar theme, such as shells, sunglasses, etc. The designs range from open and easy to color to more elaborate with some intricate details. The book itself is really pretty, too. It has a dust jacket which can be colored, inside and out. The outside has a beautiful touch of copper foil. In addition to the designs I mentioned above, there are flowers, birds, shell creatures, sailing boats, lizards, trees, leaves, frogs, canoes, paddles and much more. This is a very beautiful adult coloring book with many pages of hand-drawn Holiday designs. Rather than using glitzy style elements, the artist has brought in a focus on Nature into the designs. Many of the designs include a branch, holly berries, birds, deer, or other natural themes. The book itself is lovely, too. It has a dust jacket which can be colored, inside and out. The outside has a beautiful touch of silver foil. The designs are so many and have a wide variety of subjects, including: birds, wreaths, ornaments, snowflakes, trees (Christmas and outside birch), candles, garlands, deer, holly, and even a kissing ball among many more designs. What a wonderful breath of fresh air! This book was a joy to read and to laugh and, yes, to sigh over (inside joke in the book.) I could have tried to read it in one sitting but I really wanted to space it over two days to lengthen the enjoyment of it. 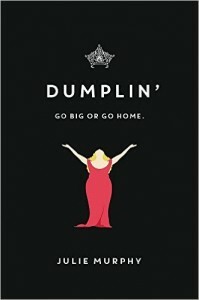 In the story, Willowdean Dickson (aka “Dumplin’” to her mother), is a high school student who is overweight and has an obsession (in a good way) with Dolly Parton. She calls herself fat and seems to be happy in her own skin. That is, until life starts happening to her. Her beloved Aunt Lucy has passed away from a heart attack brought on by obesity (close to 500 pounds) and Willowdean is trying to get over her loss. This hand-drawn Christmas designs coloring book may be the best designs of the genre that I have ever purchased. The artist is Mary Tanana and, in the first few pages, she explains her methodology for drawing these lovely designs. While I wish that the book had been printed on a single side, I am still extremely pleased with it. The designs cover so many facets of the Christmas holiday, including: trees, stockings, ornaments, gift cards, wreathes, reindeer, snowflakes, and much, much more. The book is printed on a good heavyweight white paper. All of my markers bleed-through on this paper; however, none of my gel pens do. As the book is printed doubled sided on non-perforated paper, I will probably be using my gel pens and colored pencils or will purchase a second book if I feel compelled to use my markers. The binding is glued rather than sewn, so patience or an exacto knife is needed to remove pages from the book.